With most people, especially adults feeling uncomfortable with having a metal filled smile, you no longer have to go through this inconvenience with orthodontic treatment. Invisalign offers a comfortable, removable and virtually invisible teeth aligner solution. Unlike traditional metal braces that are adhesively bonded to your teeth, Invisalign aligners can be removed to eat, drink, floss and brush your teeth at your own convenience. The clear aligners can go unnoticed in your mouth, providing you with the confidence to show that beautiful, white, metal-free smile during your treatment process. The thin and lightweight Invisalign aligners allow your teeth to gradually shift over a certain treatment course to reach a perfectly straight position. A customized treatment plan is developed for each patient individually to achieve the best results depending on their bite and their teeth alignment. 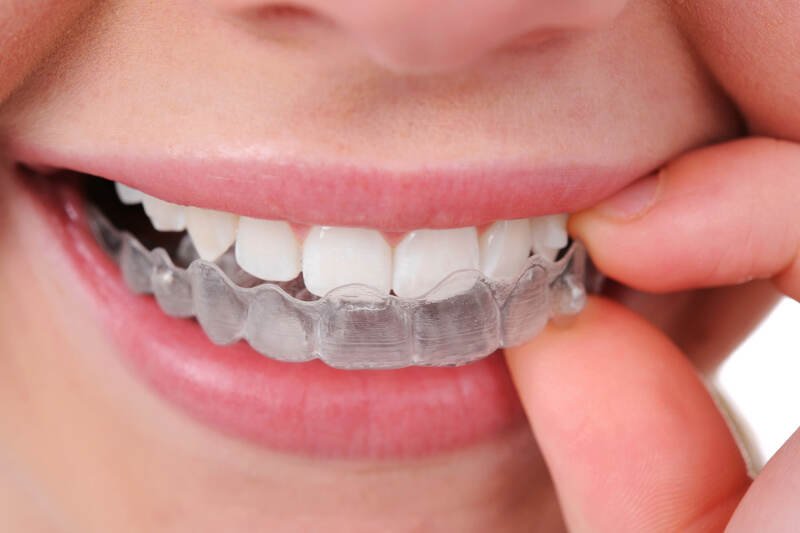 Each set of aligners is worn for about 2 to 3 weeks, where they exert gentle force onto your teeth, shifting them little by little towards the right alignment. The new set of aligners continues the shifting of your teeth from where the previous aligners left off. By the end of your treatment period, the series of aligners will have moved your teeth into their new, beautiful and straight position. Dr. Gabrielle Chan, our Oakville in-house orthodontist, is always available for consults and to answer any questions you may have. Dr. Chan takes her time to thoroughly explain the process to you, so that you feel happy, comfortable and satisfied with the treatment plan. If Invisalign is not an option we resort to treatment with traditional braces. To schedule your Invisalign consultation, call us today!